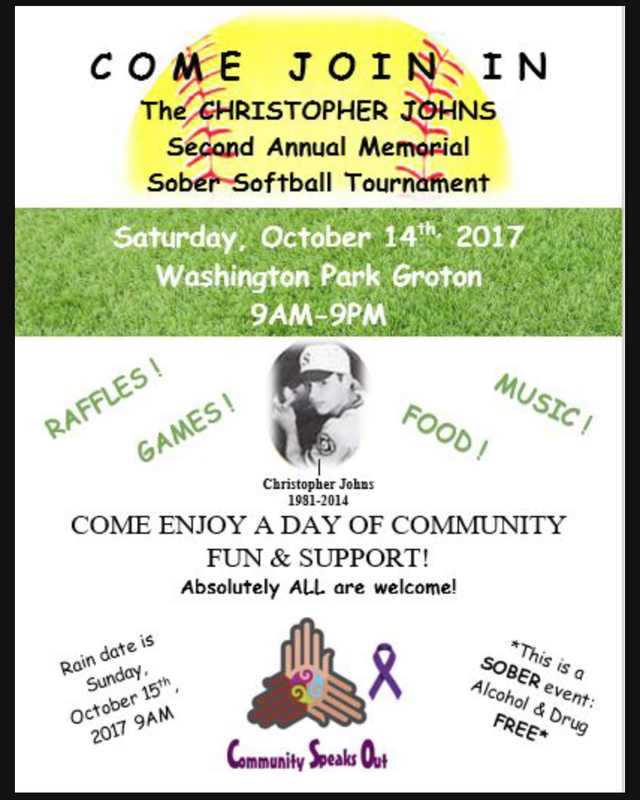 Community Speaks Out will have its 4th Annual Christopher John’s Sober Softball Tournament on Saturday September 28th at Washington Park in the city of Groton. The tournament is in honor of those lost to addiction and to show that recovery is possible. For more information please fill out the form below, and we will get back to you as soon as possible. Thank you! Community Speaks Out is holding its 3rd Annual Trails to Recovery. The trail walk/run will take place at Bluff Point State Park in Groton on June 9th and will benefit CSO. Online registration is open online until June 8th at 5:00 p.m, to register online click here. You can also download and print the image in the gallery below and register on race day starting at 8:30 a.m. For those looking to sponsor the walk/run, details are in the second image in the gallery below. Trails to Recovery Registration Sheet. CSO has held four major fundraisers to spread hope and awareness throughout our community, and to send a message that recovery and healing are possible. A 5k race was held at Bluff Point on Sunday, May 21, 2017. There was the option to run or walk. This was CSO's third major fundraiser. Nine teams competed in our first sober softball tournament. 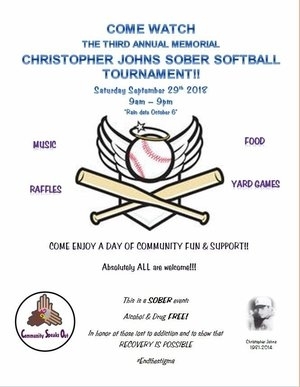 The tournament is named in honor of Christopher Johns, who lost his struggle with the disease of addiction. Each team was named to honor the memory of loved ones lost too soon. CSO co-founder Joe de la Cruz has his hair cut by a Utopia Salon stylist who volunteered her time to spread awareness and raise funds to heal those affected by the horrible disease of opiate addiction.